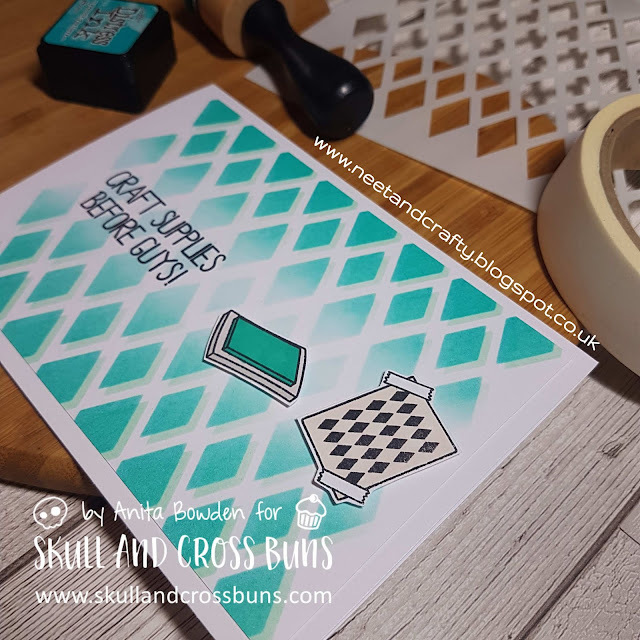 The awesome Seven Hills Crafts returns as our sponsor for this month so make sure you play along during this and the next challenge to be in with a chance of winning the LIM monthly prize! 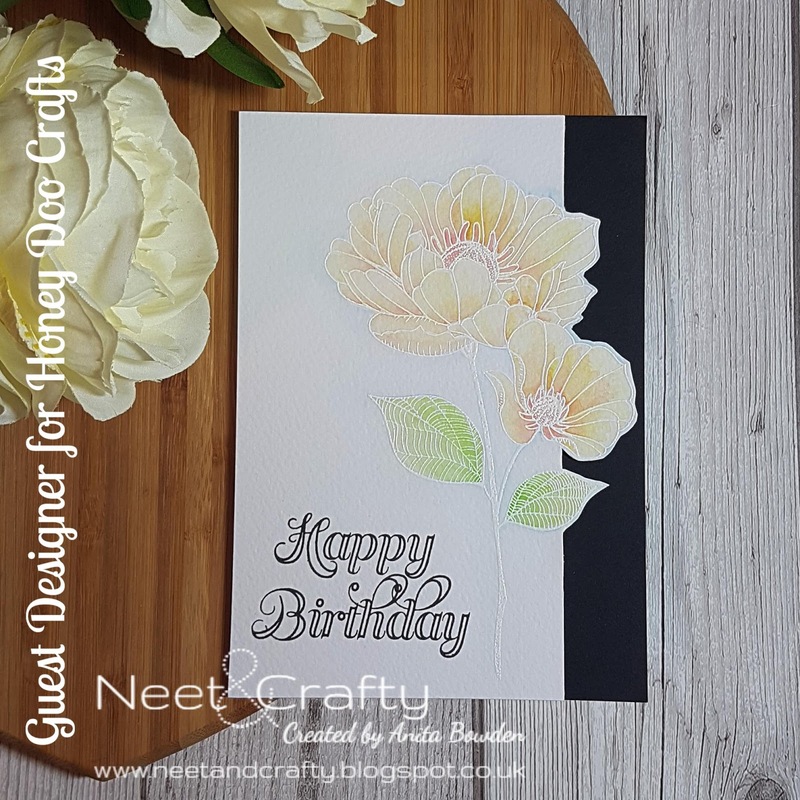 We have a wonderful designer joining us for this challenge, the super talented Milla who was one of our birthday month winners. 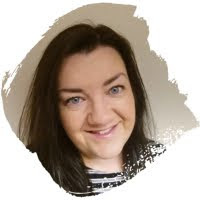 Please do pop over to her blog to say hi. This was super easy to make. On a panel of white cardstock I blended two shades of Distress Ink in from the corner. I very rarely use either of these colours but I adore how great they look together here. I then used a doily die which is new to my stash to cut a white die cut and adhered it over the edge of the panel and trimmed off the excess. To finish I stamped the sentiment before adhering the panel on fun foam. I chose this soft green shade and began by inking through a leaf stencil using white chalk ink. I then found a teeny flower stamp and stamped these around the leaves with a peachy shade. 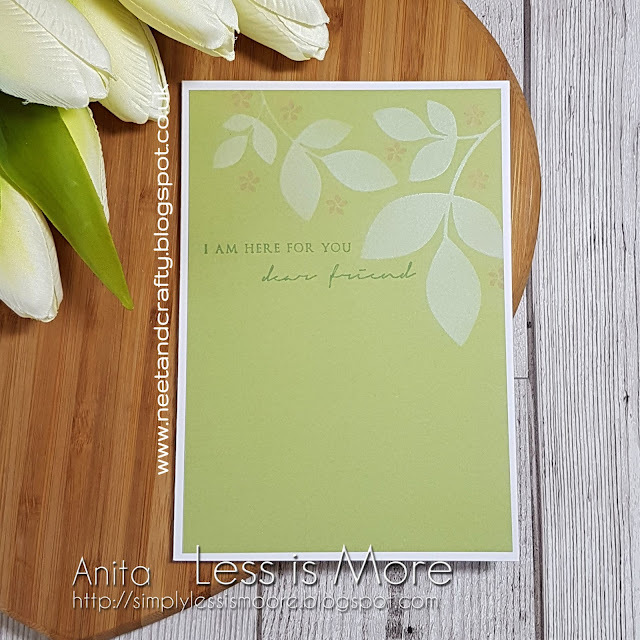 I chose a slightly darker soft green shade to stamp my sentiment and adhered the panel flat to my card base. Thanks so much for popping by. 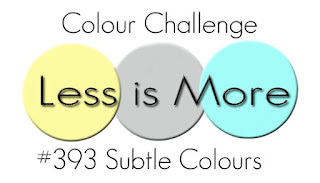 Looking forward to seeing all your subtle colour creations. 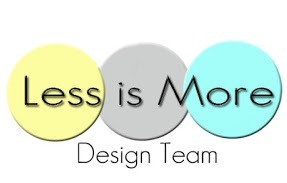 And don't forget to pop over to the main LIM challenge post for more inspiration from my fellow teamies. Tonight I'm sharing the last few of my makes for my Guest Designer spot with Honey Doo Crafts. 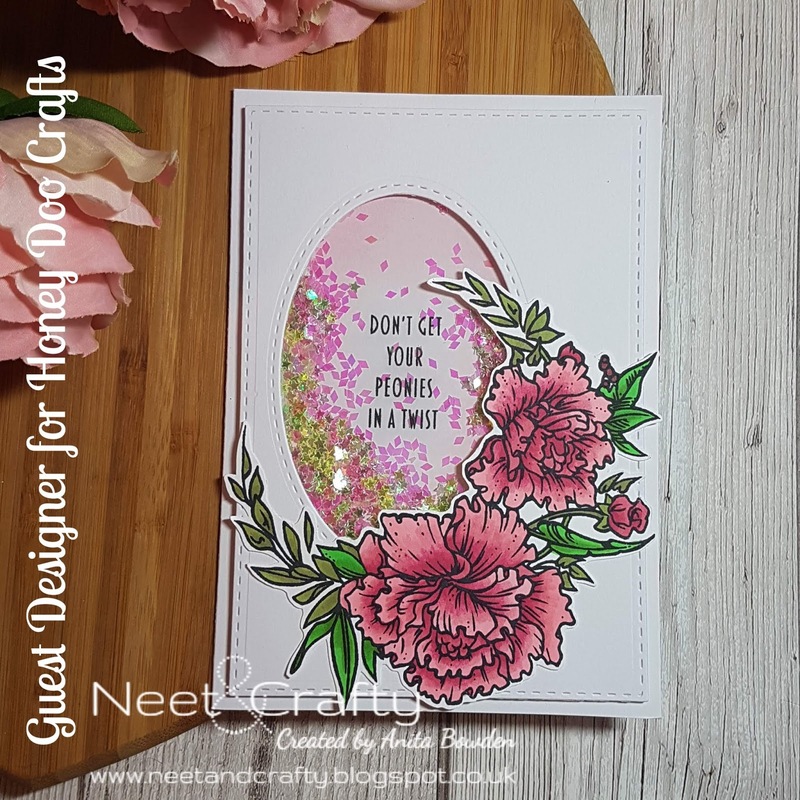 The new sets will be showcased on TV shopping channel, Hochanda tomorrow, 3 April 2019 at 12pm and 4pm BST so please do tune in if you can (Sky 673 / Freeview 85). 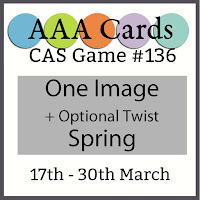 So, my cards today have used three more of the new sets I've yet to share. To begin I blended a little pale pink ink on the card base and stamped the sentiment. I then created the offset oval shaker window using a oval stitched die, backed with acetate, and edged the panel with a stitched rectangle die. The panel was popped up on 3D foam strips, trapping the confetti shaker bits inside. I then stamped, coloured and fussy cut the main peony crest image and adhered to the panel. I stamped and coloured the panel the same size as the card base. I then used a border die to cut away an inner section (I can use the cut away part on another card). The remaining two parts of the panel were popped up on fun foam and the sentiment stamped between, directly onto the card base. Simples! I masked the card base and blended ink through a sun ray stencil for the central background. I then created a frame using two rectangle dies and stamped the sentiment along the top before popping up on foam strips. 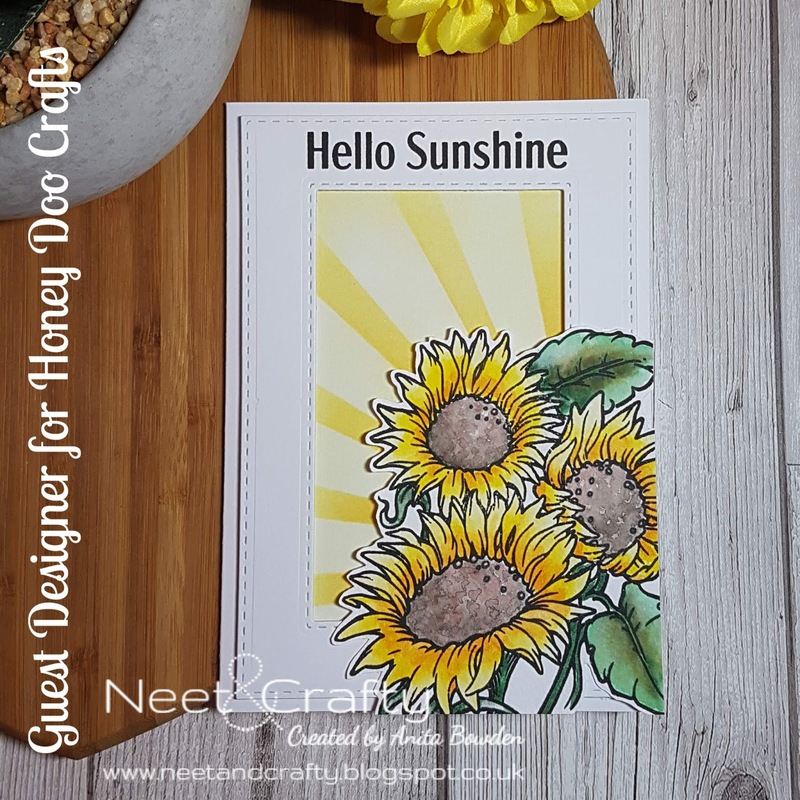 I then stamped the sunflowers onto watercolour paper and watercoloured with my Zig markers. 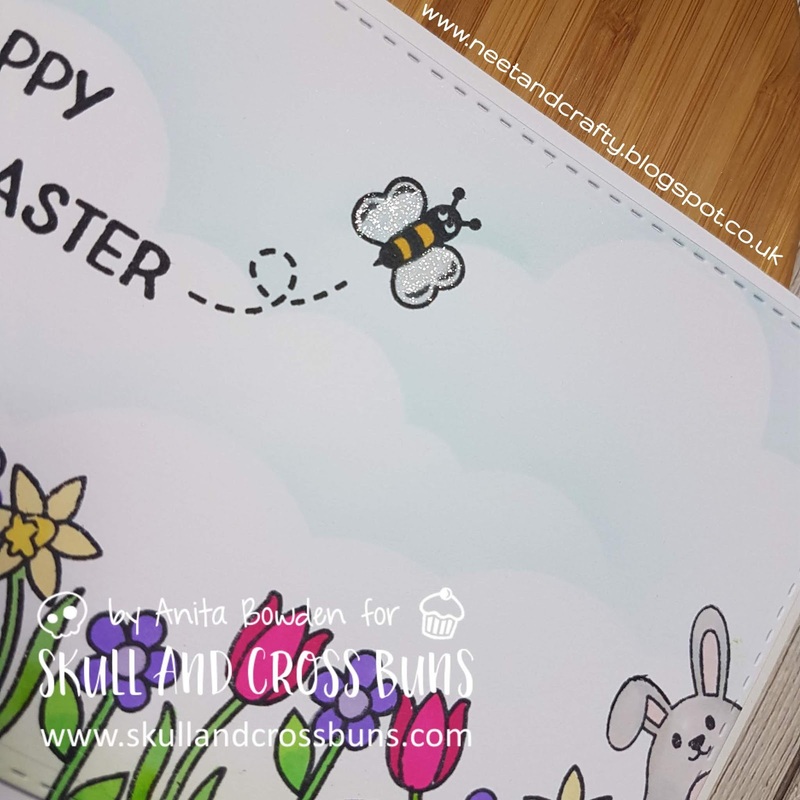 The image was then fussy cut out, adhered over the base, using foam pads to pop up the parts within the frame, and then the edges were trimmed to align with the card base. Thanks so much for all your lovely visits and comments, I appreciate each and every one of you. And I hope you love these new stamps and enjoy the show tomorrow if you are able to watch it, unfortunately I'll be at work during both shows so I'll be catching up afterwards. 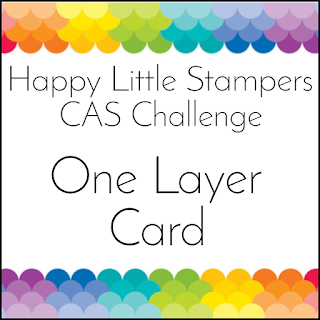 For all the challenge rules please pop over to the main HLS challenge post. 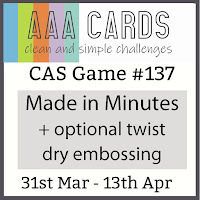 This card is purely just masking and stamping. I masked the base leaving the square exposed. I began by blending some blue Distress Ink in from the edges of the square. Next up was the turn of the script stamp which I stamped in grey. I then stamped the flower which consisted of the outline, the base colour and two further detailed layers. The linear images were then stamped in black before removing the masks and stamping the sentiment. 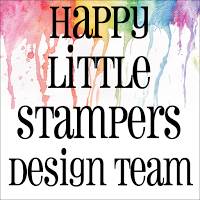 All of the Happy Little Stampers challenges run until the end of the month. The Watercolour challenge is already live and the rest of the April challenges will launch over the next few days. 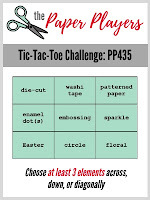 I hope you can join in and play along. 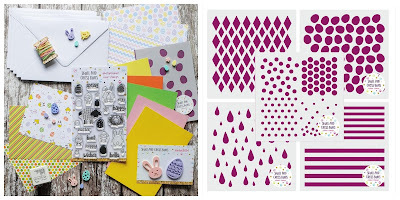 I'm back tonight to share my next batch of samples for the new release at Honey Doo Crafts. Earlier, Amanda held a Facebook Live video showing the ten new stamp sets, along with all the samples from the whole design team which you can find, here. 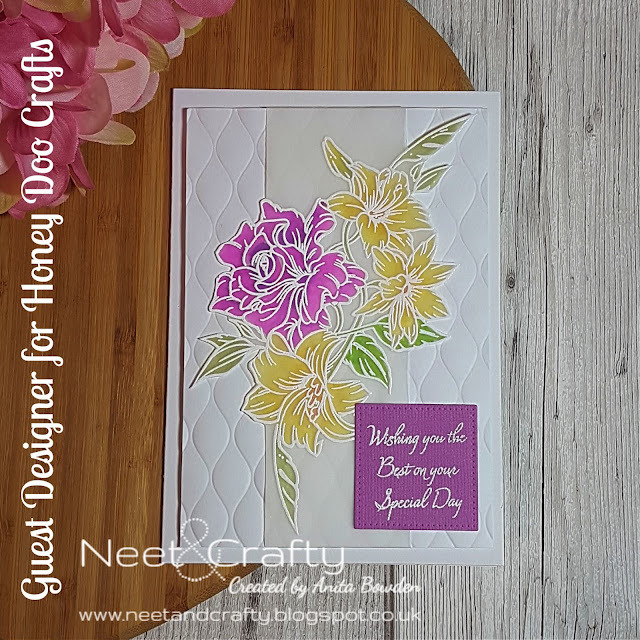 And don't forget Honey Doo will be on Hochanda (Sky 673 / Freeview 85) this coming Wednesday 3 April 2019 so tune in if you can, if not, set your planners as I believe Amanda will be doing lots of demos along with showcasing the products. Ok, on to my next few samples. 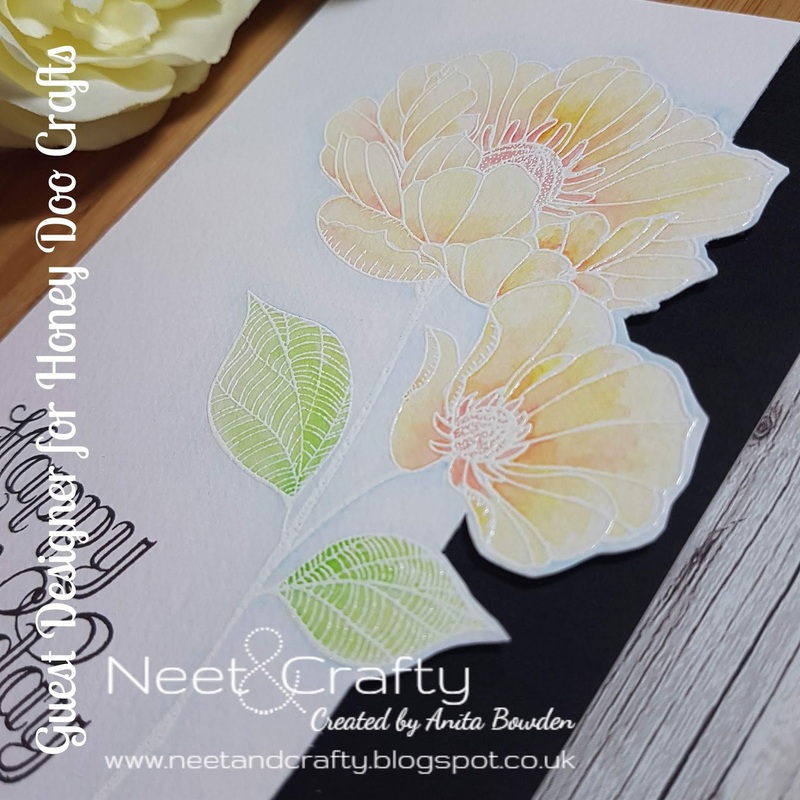 To create this one I heat embossed the image in white on watercolour paper and watercoloured it with Inktense pencils. I added a little pale blue watercolour around the edge of the image just to lift it off the background a little. I then used a paper trimmer to slice away part of the panel and fussy cut around the edge. 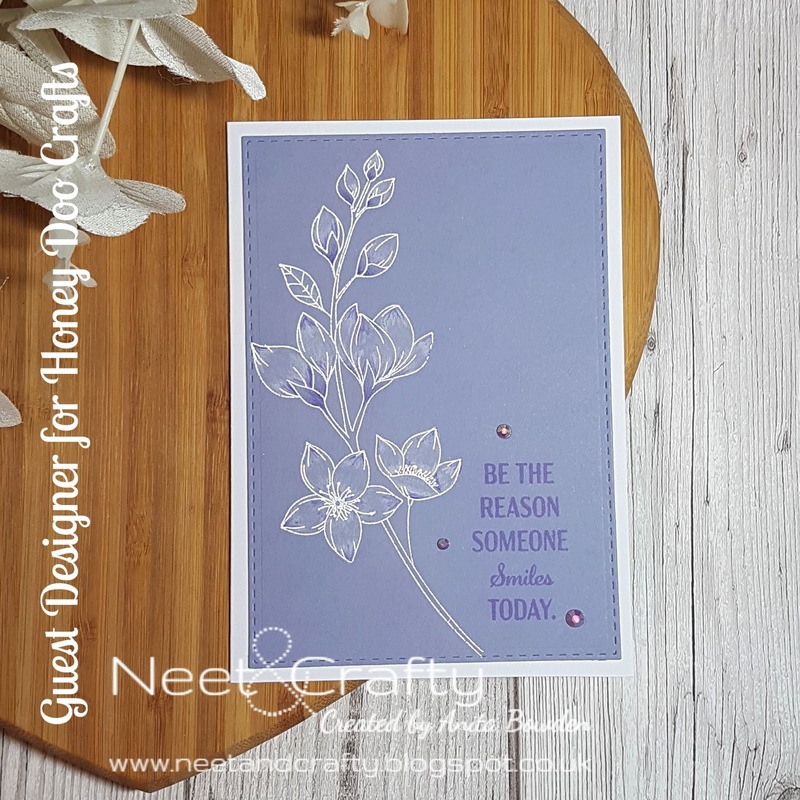 I stamped the sentiment and then popped the panel up over the card base which had a black strip adhered to the right hand side. This is a CASE of a previous card I made, here, which used partial die cutting to create the same look. So you don't need the co-ordinating dies to create this effect. 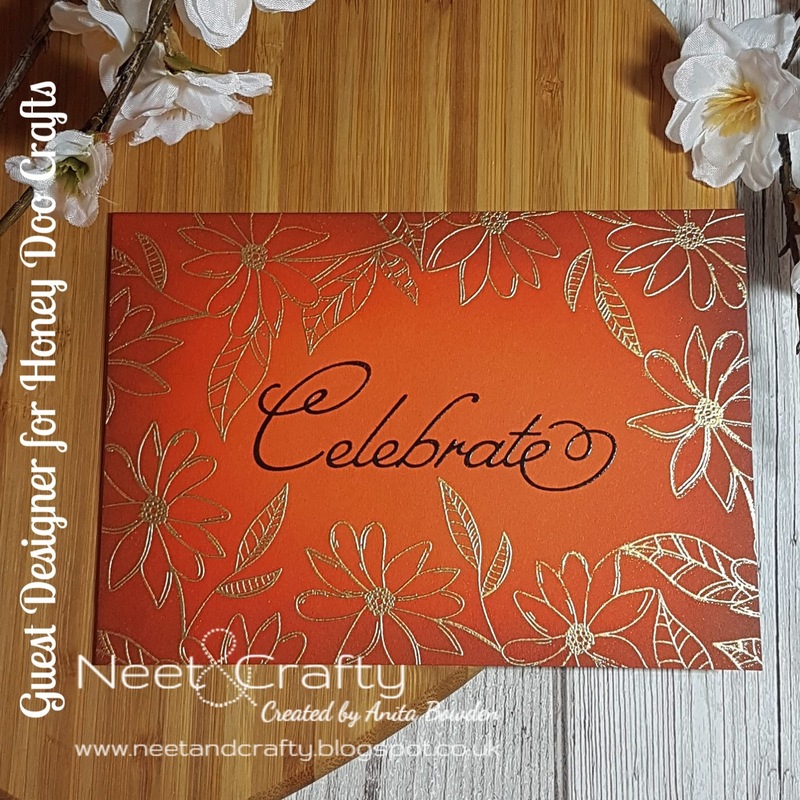 I began with a panel of orange cardstock and stamped and heat embossed the daisy image in gold multiple times to create a frame. 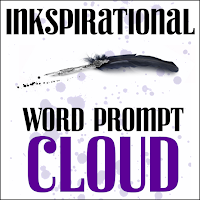 I then blended Distress Inks in from the edge in co-ordinating shades to create ombre effect. I finished by stamping the sentiment in black ink and heat embossed it in clear. 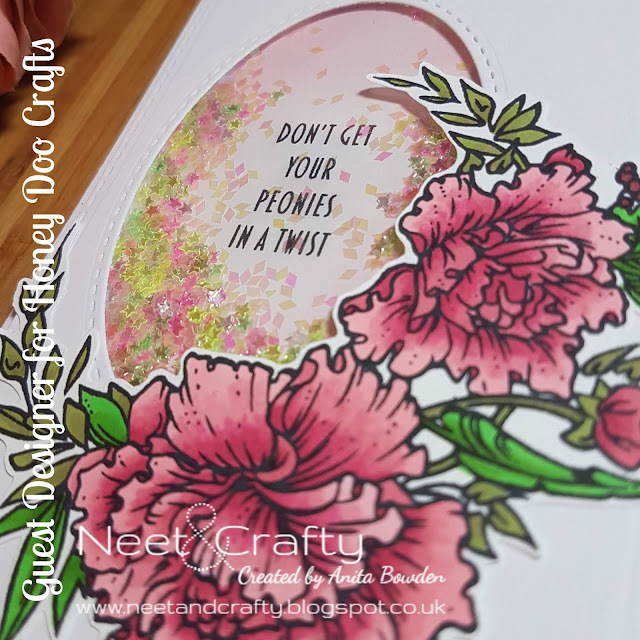 I stamped and heat embossed the floral image in white onto vellum and coloured on the reverse with ProMarkers. I then did some partial trimming, cutting away a vertical section but stopping where the image was and fussy cutting around the edge. The vellum panel was then wrapped around an embossed panel and secured on the reverse. 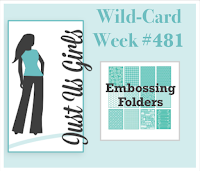 The panel was popped up on fun foam and I finished with a sentiment embossed in white on textured lilac cardstock, die cut with a pierced square. Thanks so much for stopping by. I'l be sharing my last few samples with you tomorrow, ahead of the shows on Hochanda on Wednesday. If you can't wait until then, all the new sets are available to buy direct from the Honey Doo website, here. 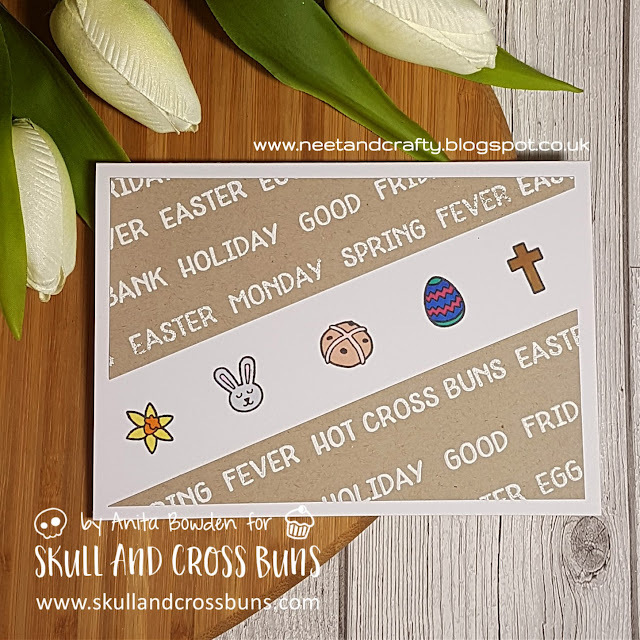 I'm back this evening to share another couple of makes using products from the Skull and Cross Buns April/May release. I used the shifted stencilling technique on a white cardstock panel, first inking in Cracked Pistachio before shifting very slightly and then inking with Peacock Feathers Distress Ink, both of which were faded out towards the centre. I then stamped and fussy cut the stencil and ink pad images and popped these up on 3D foam alongside the sentiment. The panel was then adhered flat to the card base. 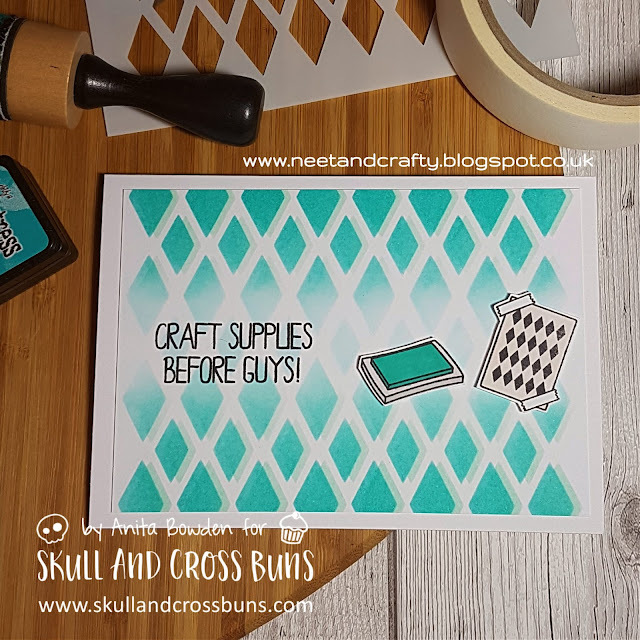 Although this card looks fairly simple, it did take some time to stamp and emboss the words onto the kraft card as most of these are separate stamps so there was lots of lining up and stamping in stages to ensure the ink was still sticky enough to accept the embossing powder. Once the panel was complete I sliced away the central diagonal section and adhered the two corners to the card base. I then stamped five of the images directly on the card base and coloured these very simply with ProMarkers. 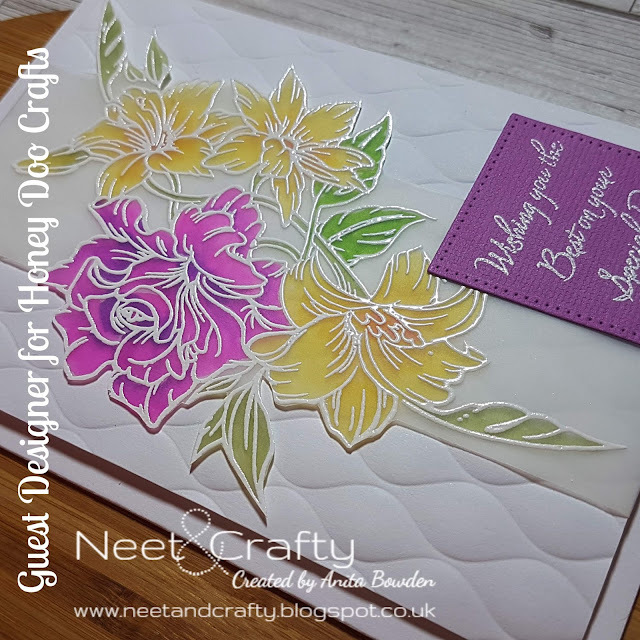 I'm excited to share the news that I'm once again joining Honey Doo Crafts as a Guest Designer for their latest release. 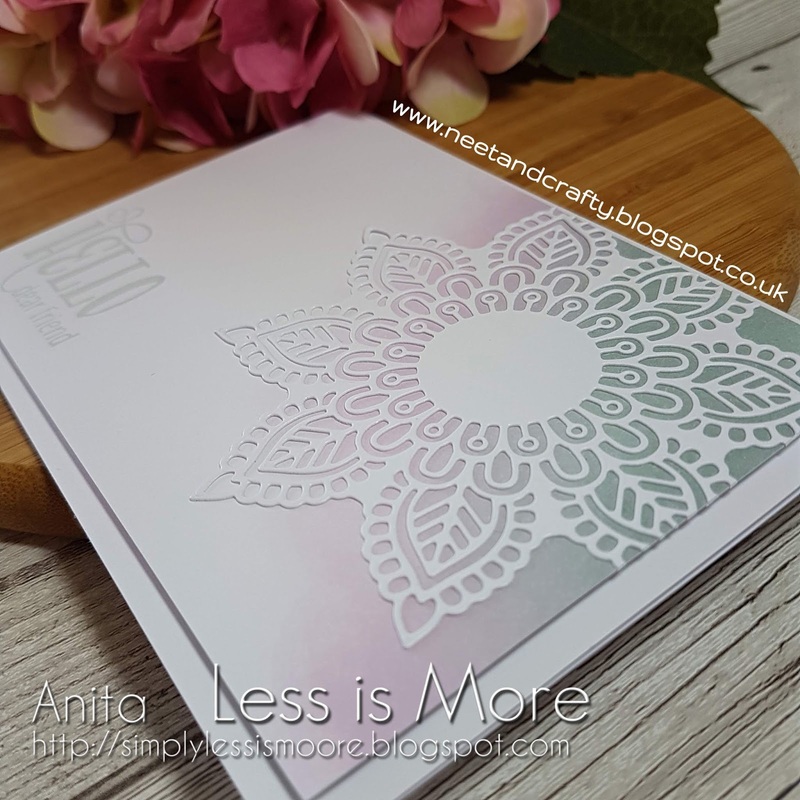 There are ten new stamp sets, all lovely floral designs that Amanda and the team do so well, and all so perfect for Spring. The new sets will be showcased on TV shopping channel, Hochanda on 3 April 2019 at 12pm and 4pm BST so please do tune in if you can (Sky 673 / Freeview 85). 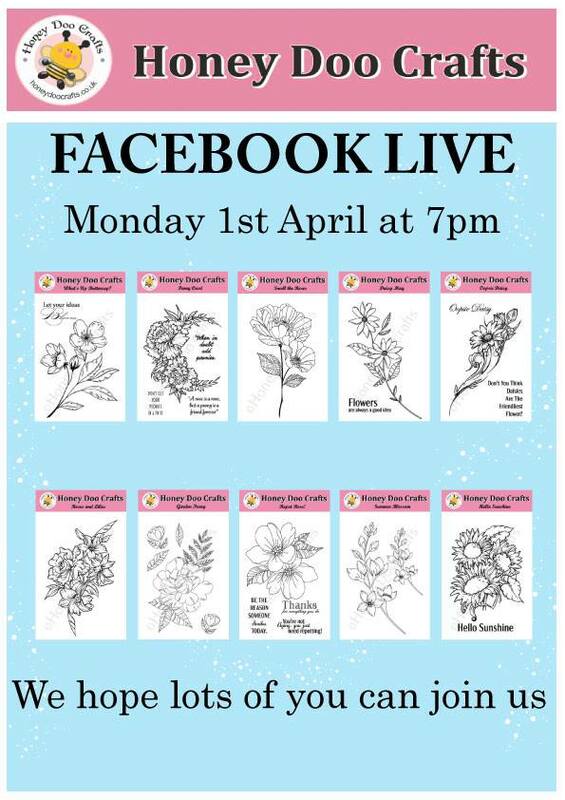 Honey Doo are also doing a Facebook Live on 1 April 2019 at 7pm BST which you can find here where they will be showing the new stamp sets in full detail. Ok, onto my first few samples. 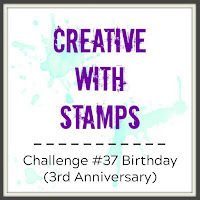 Here, I masked off my card base and used the emboss resist technique where I stamped and heat embossed the image in white and blended with Distress Oxides. I then die cut the top panel and created a circular aperture, stamped the sentiment from the same set and popped the panel up on 3D foam. Stamps: Honey Doo Crafts - Repot Rose! On a panel of lavender cardstock I initially stamped the image in a pale grey ink, before adding some highlights with coloured pencils. It's easier to add the detail before embossing the image and if using a stamp positioner such as a MISTI this allows you to restamp in exactly the same spot. I then restamped and heat embossed in white. 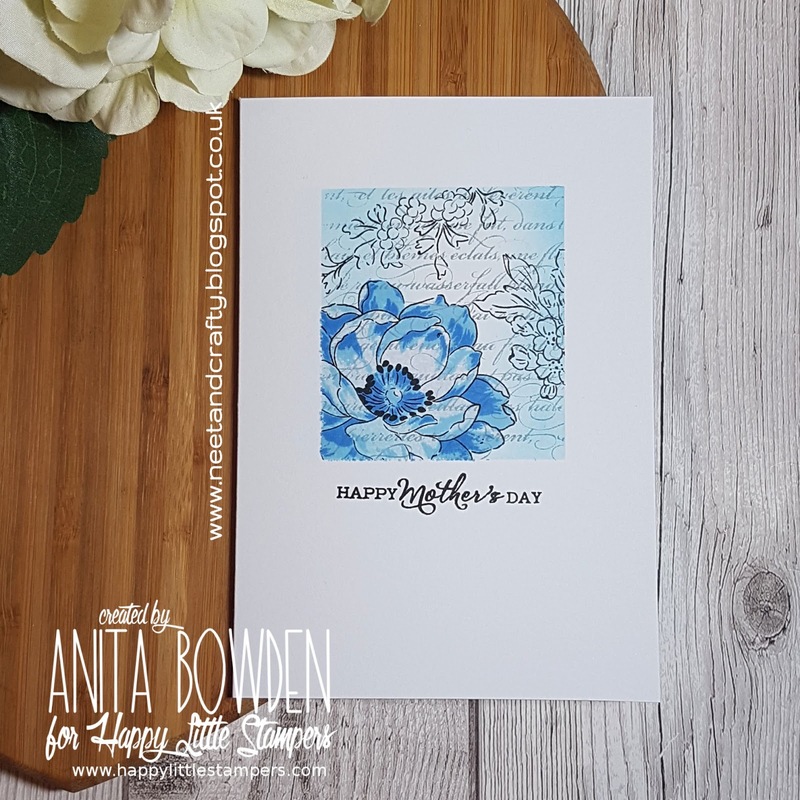 The sentiment was stamped in a co-ordinating ink, the panel adhered flat to the card base and some jewels added to finish. Stamps: Honey Doo Crafts - Summer Blossom, Repot Rose! I used the same process as the last card for this image, stamping in a yellow ink first, colouring with ProMarkers and adding detail with coloured pencils. I then restamped and heat embossed in white. 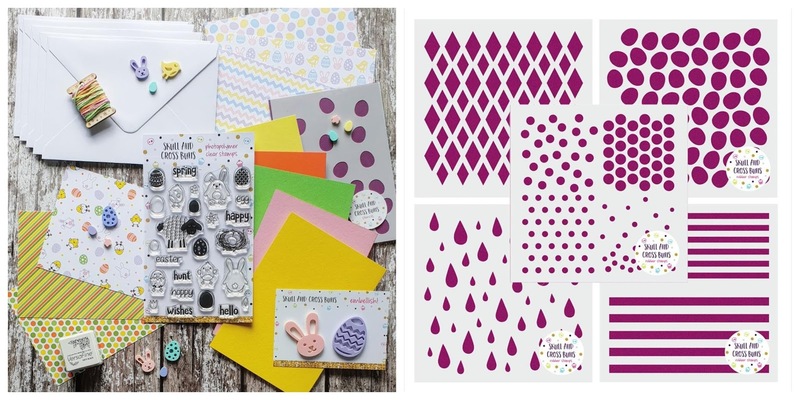 Some polka dot paper was added to the card base, and the panel die cut with a curved edge and adhered flat. 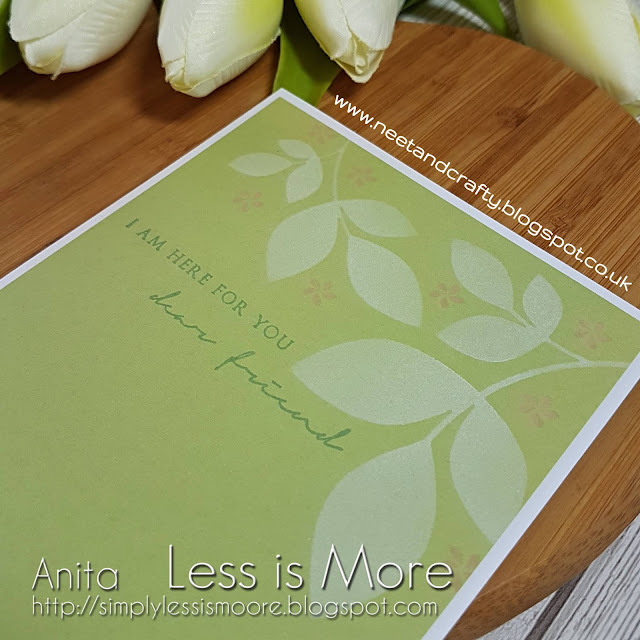 The sentiment from the same set was stamped in green onto a die cut oval and popped up on 3D foam. 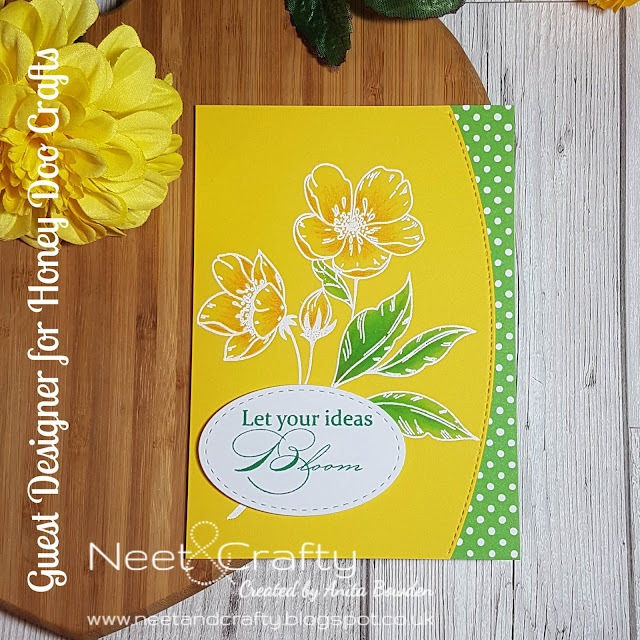 Stamps: Honey Doo Crafts - What's Up Buttercup? 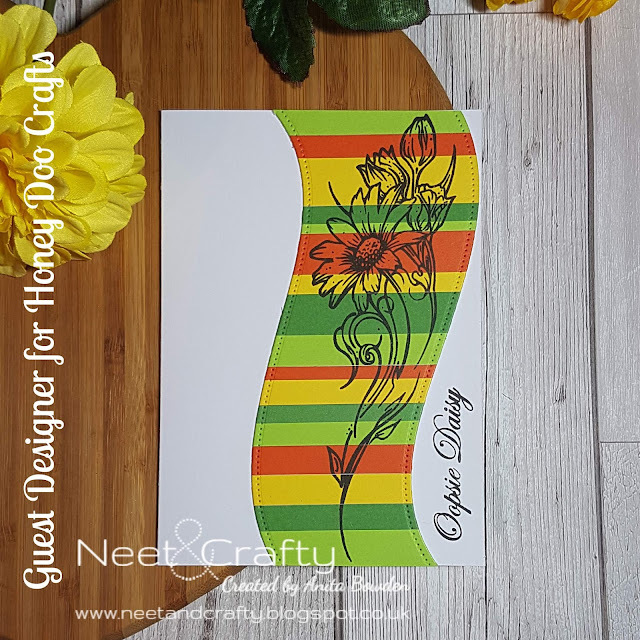 Thanks so much for stopping by, I'll be sharing my samples using the rest of these new sets ahead of the TV shows on Hochanda on 3 April, so would love for you to pop back and take a look. 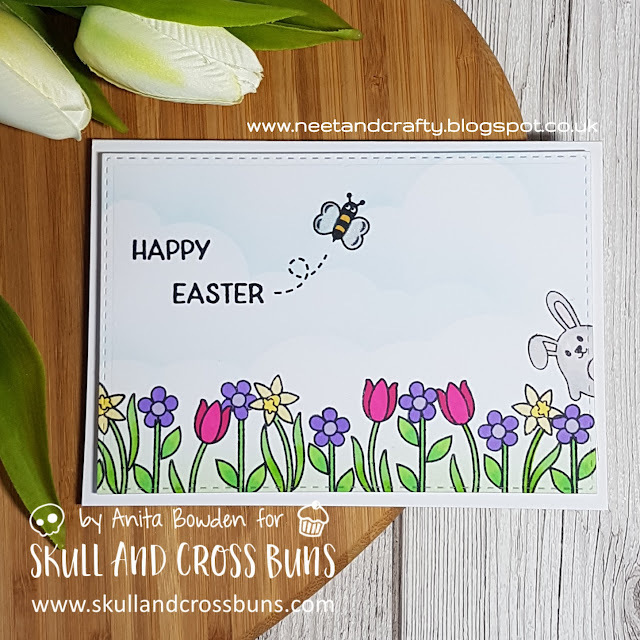 Popping, or should I say, hopping by today to share the first of my makes using the fab new April/May product release by Skull and Cross Buns. You can find all the new products by following this link, here. 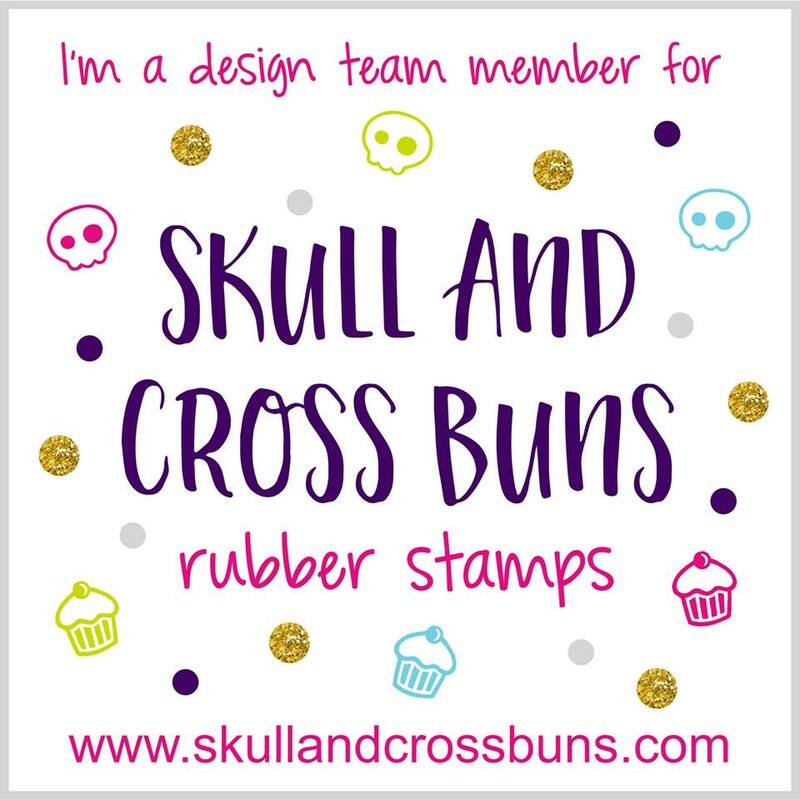 These are also feature on the Skull and Cross Buns Facebook page, here. I've included a collage of the new products at the base of this post. I'll be sharing lots more over the next few days so I'd love for you to pop back if you have time. I'm Anita, welcome to my blog. I love being creative and have been making cards since about 2005. 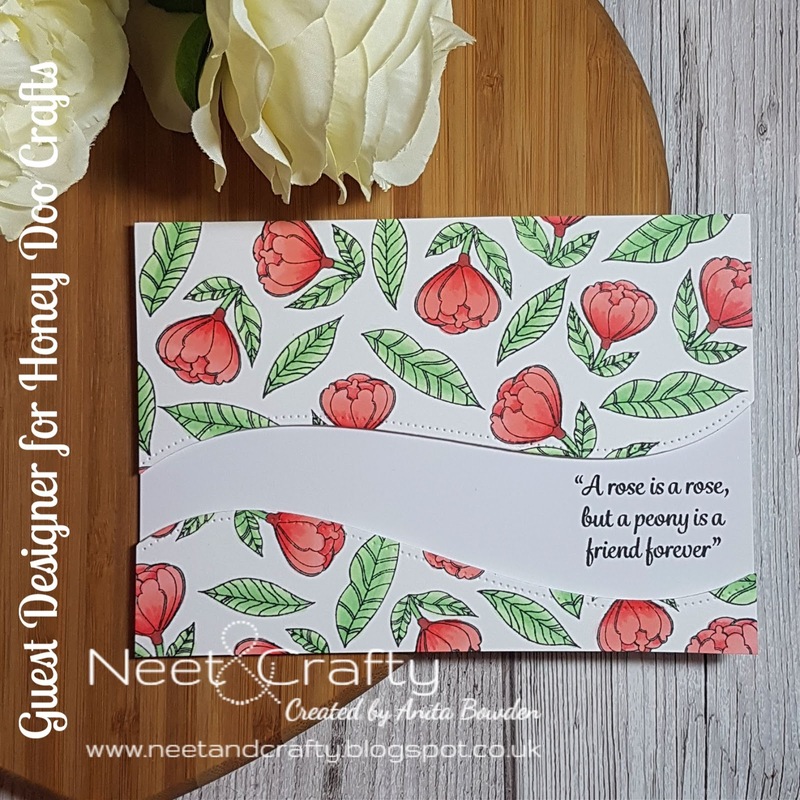 Neet & Crafty is my little online place to share my creations with you and I hope you will find some inspiration. I share my creations on my blog for inspiration purposes only. Please respect my wishes and do not copy for submission to competitions, magazines, etc. or for your own personal financial gain. Copyright © Anita Bowden 2013-2018. Simple theme. Theme images by Jason Morrow. Powered by Blogger.